Pebble, the company that arguably sparked the whole smartwatch trend with a $10M Kickstarter back in 2012, is shifting things up today. After years of sticking with square-faced displays, the company is today introducing its first round-faced smartwatch. It’s called, aptly, the Pebble Time Round. Pebble Time Round will come in a few different styles: a leather strap in a variety of color for $249, or with a metal band in gold or black for $299. The style of the bezel varies a bit depending on your strap of choice. I tried on a Pebble Time Round for a few minutes just yesterday. If you’re already familiar with Pebble and its timeline interface, you’ll feel right at home here — it’s very much a Pebble, just a whole lot slimmer and rounder than those that have come before it. 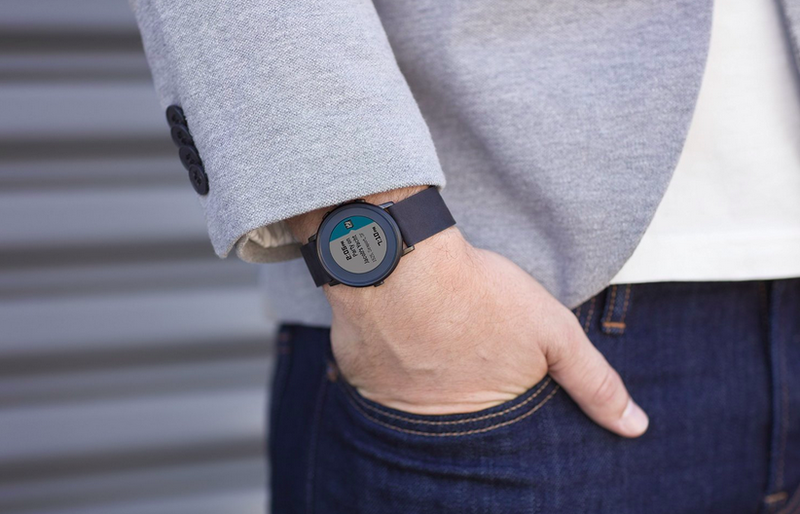 Pebble Time Round goes up for pre-order on Pebble.com today, with shipments expected sometime “in November”. At least according to an Amazon product page that popped up for the device this morning, they’re aiming for November 10th, specifically. I’ll be talking to Pebble CEO Eric Migicovsky on stage later today at TechCrunch Disrupt SF.